The speakers built in to most Halloween props are small and lacking in bass. One trick is to disconnect the internal speaker and wire the prop’s speaker output to a larger external speaker. This can yield a huge improvement in sound quality, but won’t increase the volume. The other is to use a separate amplifier and speaker. You could also use a powered speaker (in-built amplifier). One potential issue is that the prop’s speaker output wires are not referenced to the negative battery (or power supply) terminal. 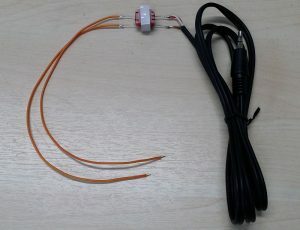 This could cause damage if directly connected to an external amplifier that shares common wiring with the prop. An audio isolation transformer is one way around this. It breaks the DC path that could otherwise cause damage. 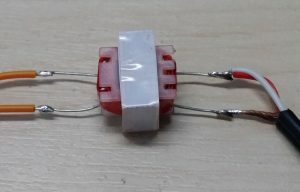 Search for “audio transformer” on eBay. They are often 5 or 10 pieces for a few dollars for the little red 600 Ohm type. that used to connect to the prop’s internal speaker. left and right (white and red) wires so both channels will work. with heat shrink tubing to prevent shorts.